The tapering headland of Hook Head, located in the south-western corner of county Wexford, forms the eastern boundary of the great estuary known as Waterford Harbour. 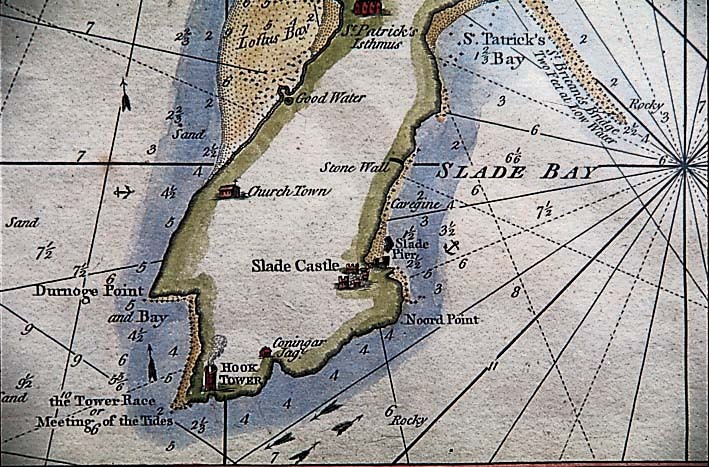 The headland is sometimes called a peninsula which means “almost an island”. The bedrock consists of two types of sedimentary rock: old red sandstone and limestone. A band of old red sandstone runs across the peninsula from Broomhill to Carnivan. For centuries this was quarried at Herrylock to make millstones, water troughs and other objects. The point of Hook itself consists of fossil-bearing carboniferous limestone. The limestone rock was burned in the many limekilns which can still be seen on the peninsula. The limestone powder which this produced was used to improve the quality of the soil. It was also mixed with sand to make lime mortar for building stone walls and houses. Because of the rivers Barrow, Nore and Suir which flow into the estuary it was known in Irish as Comar na dtrí nUisce (the confluence of three waters). The Vikings called it Vadra Fiord (the weather estuary) which was the origin of the name Waterford. In the fifth century a monk named Dubhán established a monastery on the peninsula. The medieval church at Churchtown, built on the site of Dubhán’s monastery, incorporated part of an early Christian monastery. The headland became known as Rinn Dubháin (Dubhán’s headland). Although Dubhán is also the Irish word for fishing hook, it is likely that the headland got its present name from the old English word Hook, meaning a projecting piece of land. 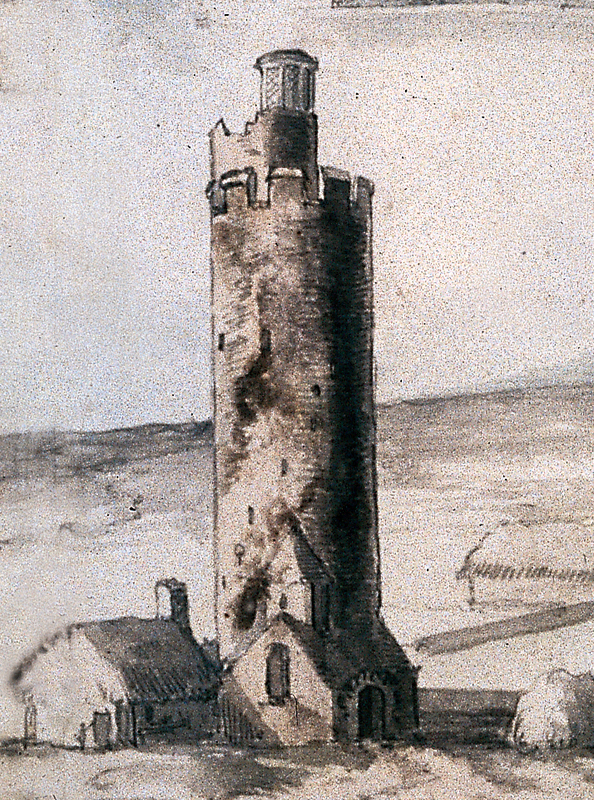 According to tradition, the monks from Dubhán’s monastery erected the first fire beacon to warn seafarers to keep away from the dangerous rocks.